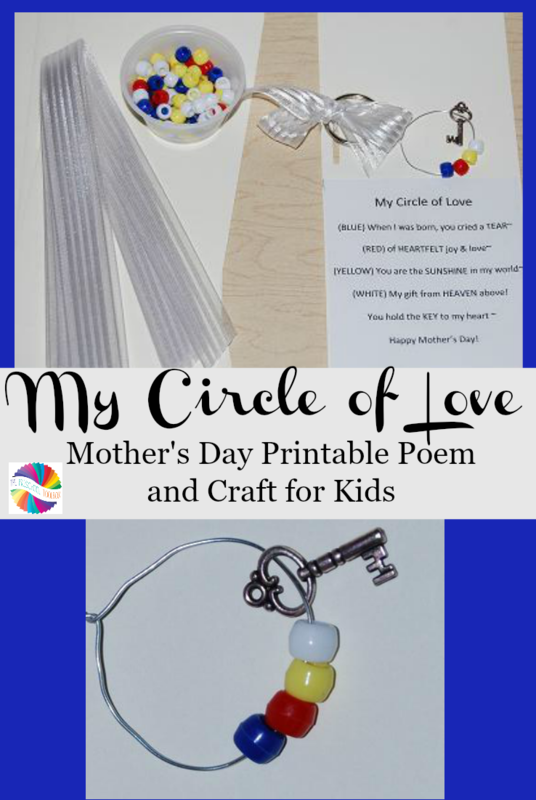 My "Circle of Love" - Poem and Craft for Mother's Day! 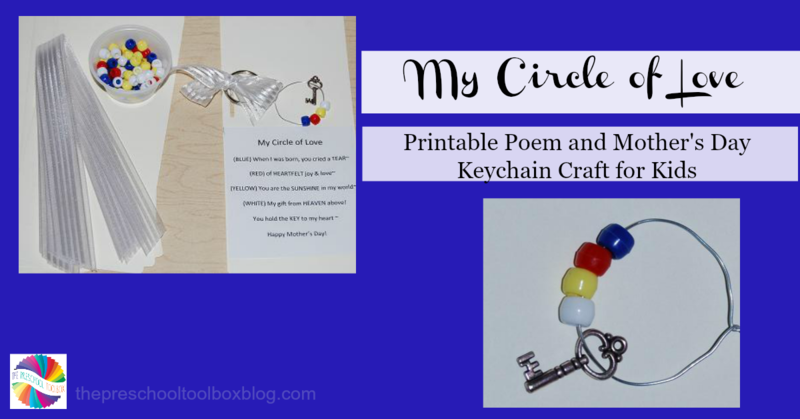 My “Circle of Love” – Poem and Craft for Mother’s Day! The Circle of Love keychain crafts are easy gifts for kids to make and give for Mother’s Day. Mothers and grandmothers will delight in the poem while carrying the bead symbols of love on the keychains. Disclosure: Please note that this post and others within the blog contain affiliate and/or distributor or sponsored links and content. Materials needed: Key Rings, Red/Blue/Yellow/White Pony Beads (one of each color per craft), old keys or craft keys (one per child), one poem per child (linked below), craft wire, cardstock or heavy paper, scissors, and glue sticks. Print the poem above for each of the children. Have the children cut out and glue the poem onto a piece of heavy paper (folded vertically in half). The children can draw a picture or stamp/write their names on the inside of the card. Set the card aside until later. To make the key rings: Cut a piece of craft wire for each child long enough to make a circle. Have the children thread 4 pony beads onto the wire in the following order: BLUE, RED, YELLOW, and WHITE. Read the poem to the children as they place each of the colored beads on the craft wire. After the white bead, the craft key should be added to the wire. Assist the children in making a circle from the craft wire and twisting it closed. 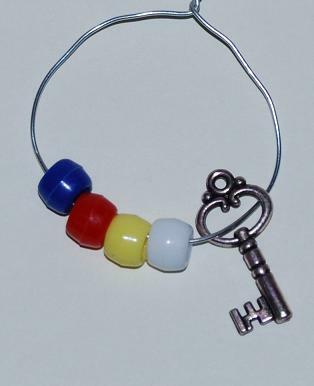 The circle can then be added to the key rings for the children (most key rings are too difficult for younger children to open – they will need assistance). The children can hole punch the card to add the key ring craft and a ribbon, if desired. We wish ALL who love and care daily for their children, a blessed Mother’s Day! « Preschoolers GONE BUGGY! Ladybug & Insect Activities for Spring!